Trawden Camping Barn provides rustic accommodation in a Grade 2 listed stone barn on Middle Beardshaw Farm. The farm featured in the award winning film, Summer's Gift. The landscape around the barn is stunning and the nearby village of Wycoller has been much used in films and TV programs. 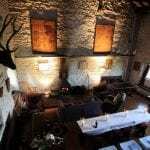 The barn is large and open, it has an ancient timbered roof and stunning views. On an overhead Gallery there are beds and bunks for 7 people and space for a couple of mattresses. 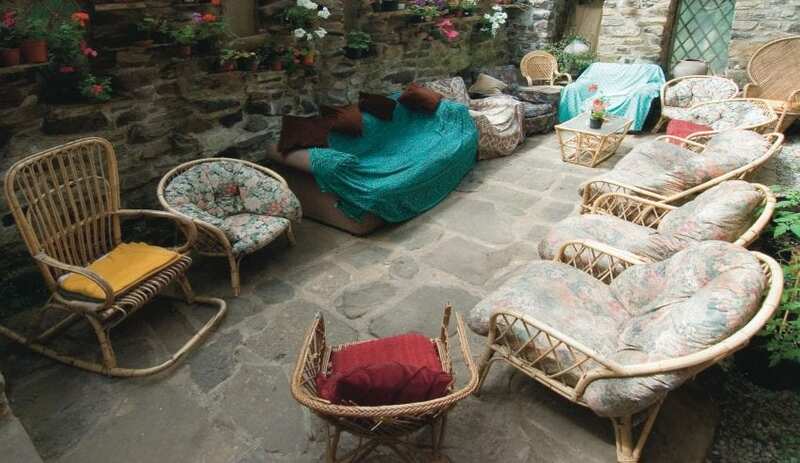 The open area has a wood burning stove, a selection of sofas, chairs and tables and more mattresses for sleeping. The barn has a quaint conservatory with sofas, table tennis and pool table and a single shower and toilet room. The kitchen, more toilets and showers are in a separate building 15m from the barn. The kitchen has crockery and cutlery for up to 20, plenty of large cooking pans, fridges, toasters, kettles, microwaves and a four ring gas hob. Two pillows and fresh bottom sheets are provided for the beds but not on the mattresses. Please bring your own sleeping bags. Washing up liquid, tea towels and toilet roll provided. There is a BBQ area by the kitchen and space for outside games on the campsite. Pub and cafe a short walk away in the village. Well behaved dogs welcome with prior notice. This accommodation is featured on our map of Yorkshire and Lancashire. £15 pp plus £10 per night per group for electricity. Follow Burnley Road up to the top keeping the church wall on your left. 15 mins walk, from church in Trawden. Lancashire bus Witch Way X43 passes through to Colne, then bus to Trawden. Trains from Preston to Colne (end of the line). This accommodation allows dogs by arrangement, is available to individuals, has a pub within walking distance and is on the Hostels that welcome stag and hen parties map, the Hostels with Camping map and the camping barn map. A cosy camping barn with beds for up to 20 people, and their dogs! Self catering facilities and a conservatory with table tennis and a pool table available within the barn! 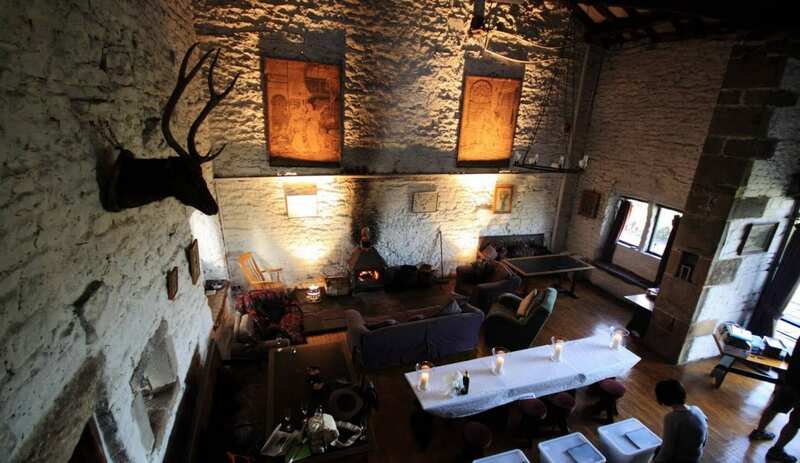 This majestic camping barn is on Middle Beardshaw Head Farm, the farm featured in the film Summer’s Gift. 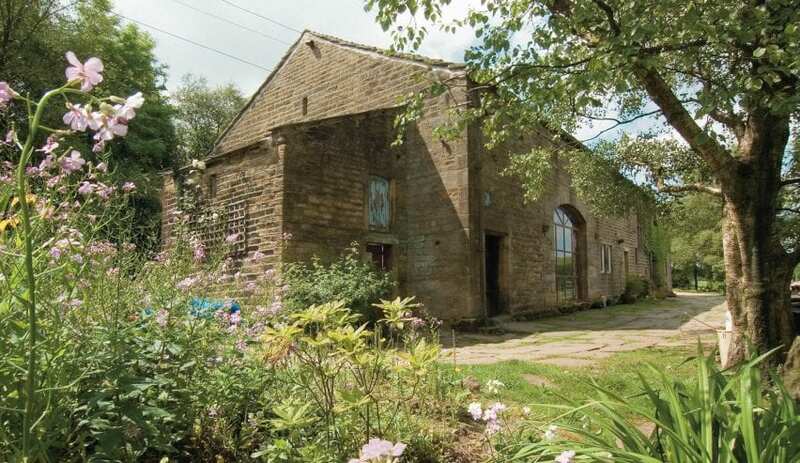 Trawden Camping Barn, EX YHA, but still welcoming guests as part of the Independent Hostel network is near to Skipton (an historic market town with a castle), as well as Howarth the home of the Brontes. These are both 20 mins away from Middle Beardshaw Head Farm which has a campsite and Trawden Camping barn. Only five minutes away is the delightful village of Wycoller which has a river, 3 ancient bridges and many buildings dating from the 16th century. Wycoller has featured as the film set for many period films and TV programmes . A short film was made here, on Middle Beardshaw Head Farm, which won a prize at a film festival in Manchester. It is called “Summer’s Gift” and you can find trailer for it on YouTube.